Helping Others - Dairy Pricing Association Inc.
On August 25, 2011, Dairy Pricing Association members milk was processed into 40 lb. blocks of cheddar cheese and purchased at Nasonville Dairy of Marshfield, WI. 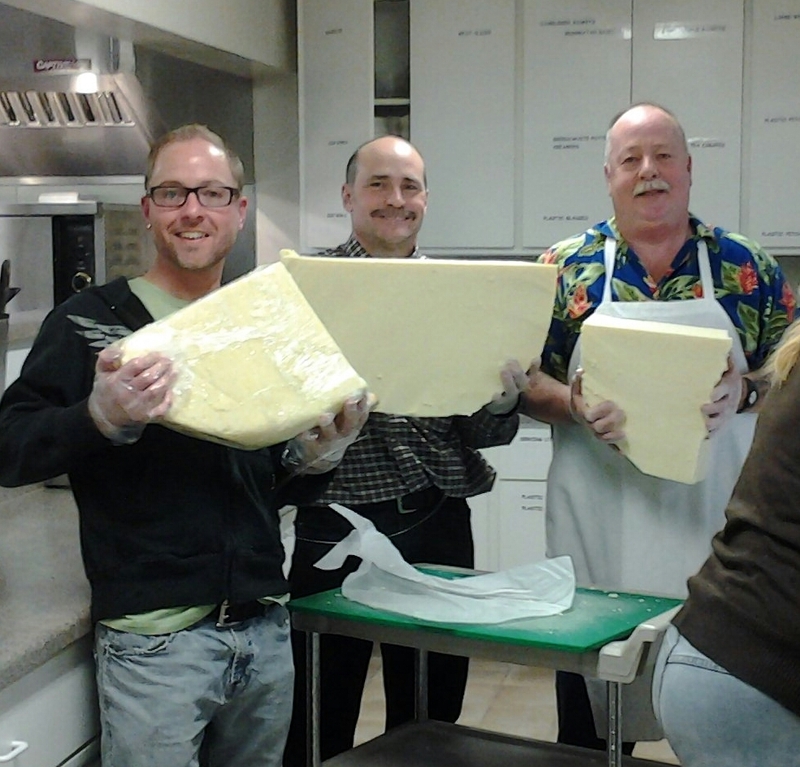 DPA donated 3,400 pounds or 85 blocks of cheddar cheese to Feeding America Eastern Wisconsin. On October 28, 2011, our Pennsylvania DPA members milk was purchased at Lehigh Valley Dairy Farms of Lansdale, PA. DPA donated 600 gallons of whole milk or 5,100 pounds to Philabundance, a member of the Feeding America network, of Philadelphia, Pennsylvania. On January 26, 2012, Dairy Pricing Association’s third purchase and donation was at Meister Cheese Dairy of Muscoda, Wisconsin. The Second Harvest Foodbank of Southern Wisconsin received 2,000 pounds or fifty- 40 pound blocks of cheddar cheese. 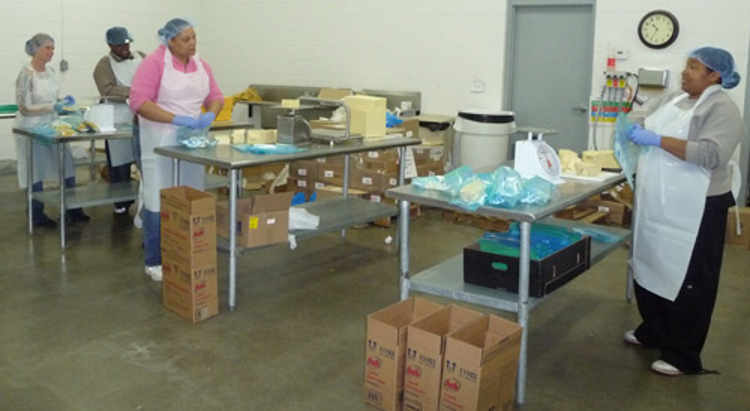 This is the Second Harvest clean room at Madison, WI, where the cheese from Meister Cheese was processed into two-pound, family-sized packages. With each donation made to the Feeding America network, the staff cannot express enough appreciation and heartfelt gratitude to YOU, the dairy producers, who make it possible. In January, Jim Scheuerman, Food Resource Manager of Second Harvest Foodbank of Southern Wisconsin, said, “We don’t come by cheese or dairy products very often- not like this,” Scheuerman said. 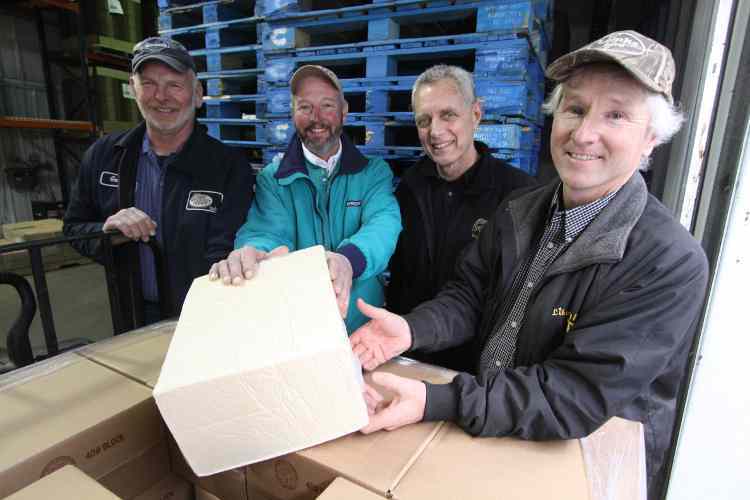 Jim (the Resource Manager) “expected the cheddar would be gone in less than 24 hours.” Second Harvest is located in Madison, WI, and serves 16 counties. They help feed 141,000 people annually. On March 22, 2012, DPA’s fourth purchase and donation was at Nasonville Dairy of Marshfield, Wisconsin. 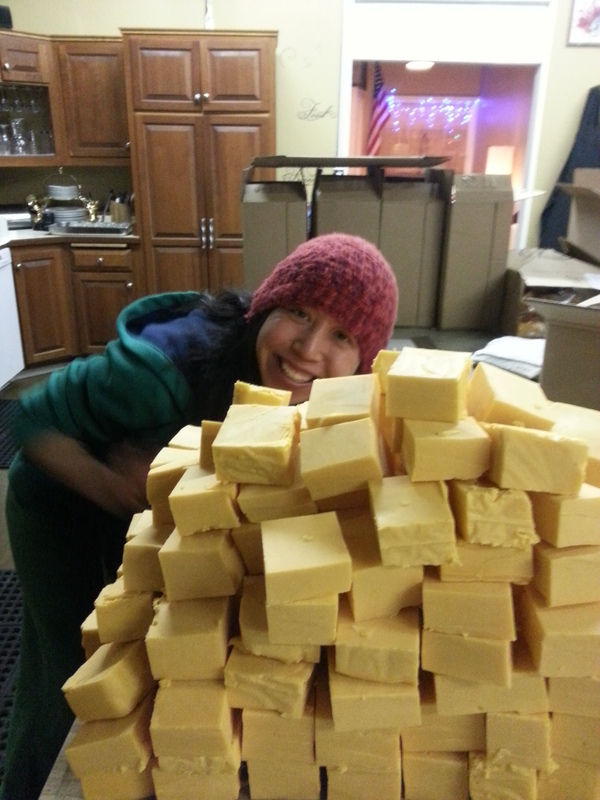 Feeding America Eastern Wisconsin received 2,420 pounds or 56- 40 pound blocks of cheddar cheese. Feeding America Eastern Wisconsin is located in Milwaukee, Wisconsin and serves 36 counties in eastern Wisconsin. 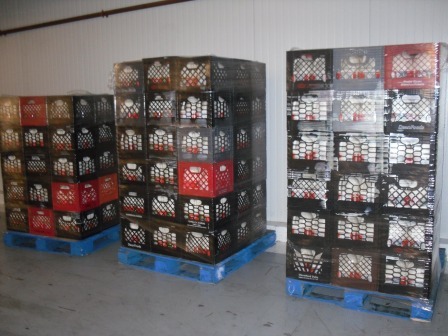 On May 22, 2012, Dairy Pricing purchased 3,165 pounds of cheddar cheese at Nasonville Dairy of Marshfield, Wisconsin. Feeding America received this donation. 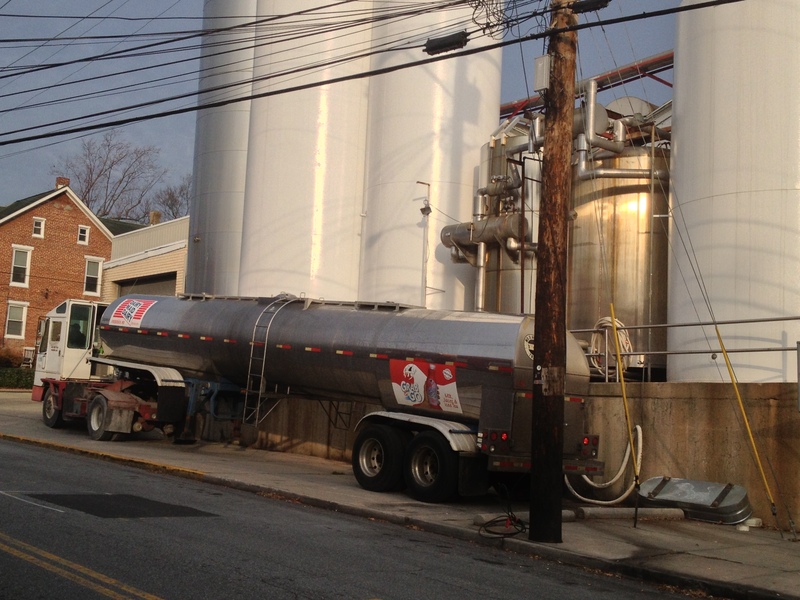 On April 19, 2012, DPA purchased 1,500 gallons of whole milk from Dairy Maid Dairy Inc. of Frederick, Maryland. DPA’s buying power is with our members who sell their milk to Lanco-Pennland Quality Milk Producers in Hagerstown, Maryland. This milk was donated to Blessings of Hope of Ephrata, Pennsylvania. 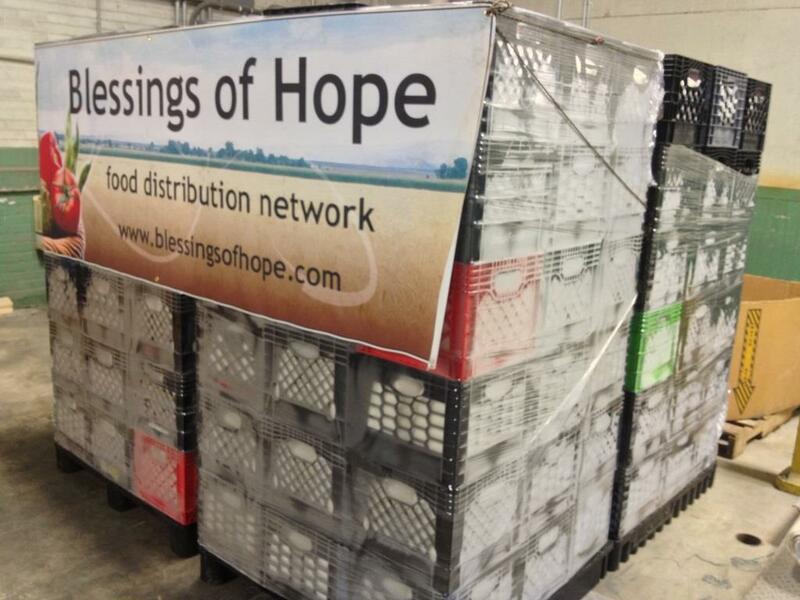 Blessings of Hope is a food distribution network to food banks, ministries, churches and individuals. The following statements are from Joseph Zook, Product & Relationship Coordinator for Blessings of Hope. 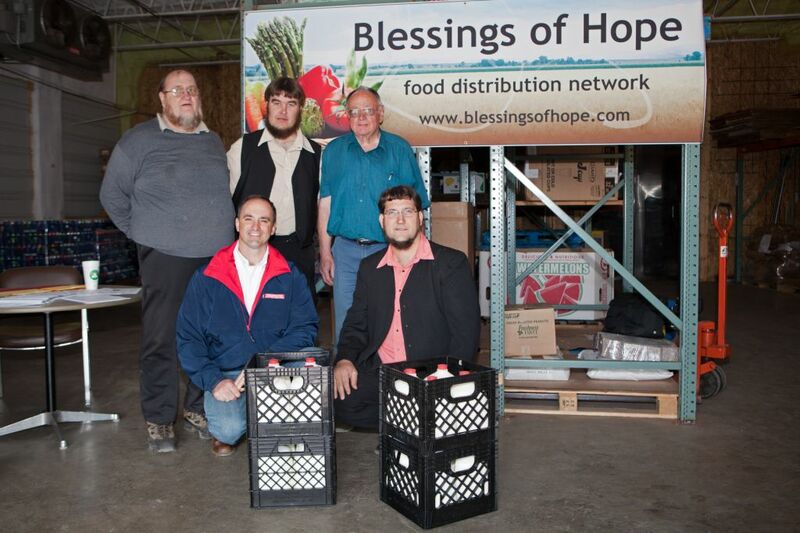 “I wish to thank those that made it possible for Blessings of Hope to receive 1,500 gallons of fresh milk! This donation is tremendously appreciated and will put a gallon of milk into a lot of homes. It will impact many lives and many people who cannot afford to buy milk. This will be a real treat to them. I ask God for a special blessing on every hand that touches this milk!” According to Mr. Zook, this dairy donation will be distributed to 15 different sites within the Blessings of Hope network. Two additional purchases/donations with Dairy Maid Dairy Inc. & Blessings of Hope were done on June 28, 2012 for 1,000 gallons and another on July 12, 2012 for 1,000 gallons of whole milk. These three were a total of 3,500 gallons or 29,950 pounds. 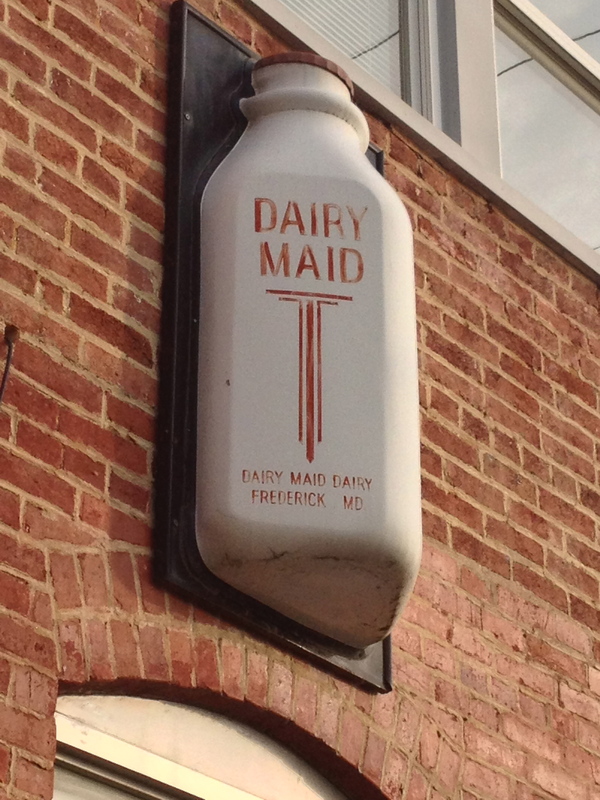 DPA member’s milk was purchased from Dairy Maid Dairy, Inc. of Frederick, Maryland. 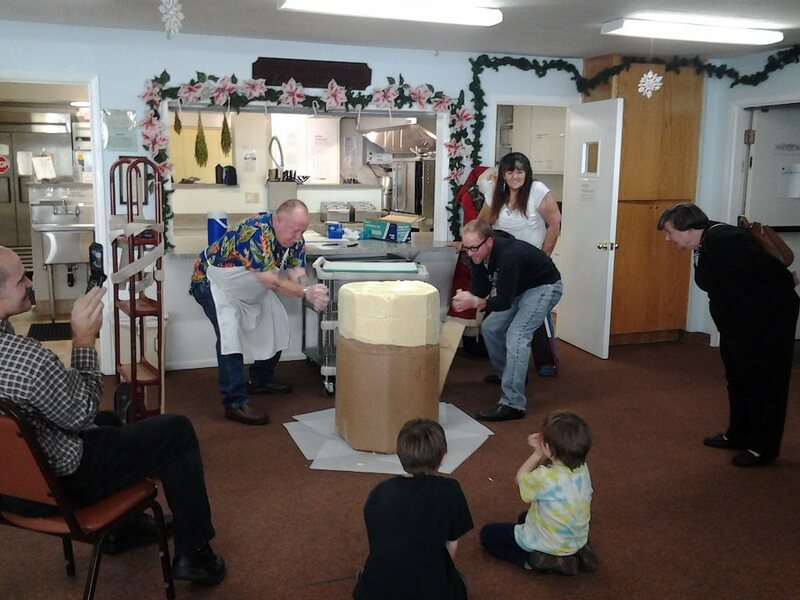 Blessings of Hope in Ephrata, Pennsylvania is a food distribution network who started to transport this milk on November 13, 2012. Blessings of Hope transported 1,000 gallons a week for six weeks to Lakewood, NJ, Staten Island, NY, and Queens NYC, NY. These are some of the hardest hit areas in the region. This donation totaled 6,000 gallons of whole milk. North State Food Bank employees cutting 500-pound barrels of cheddar cheese. 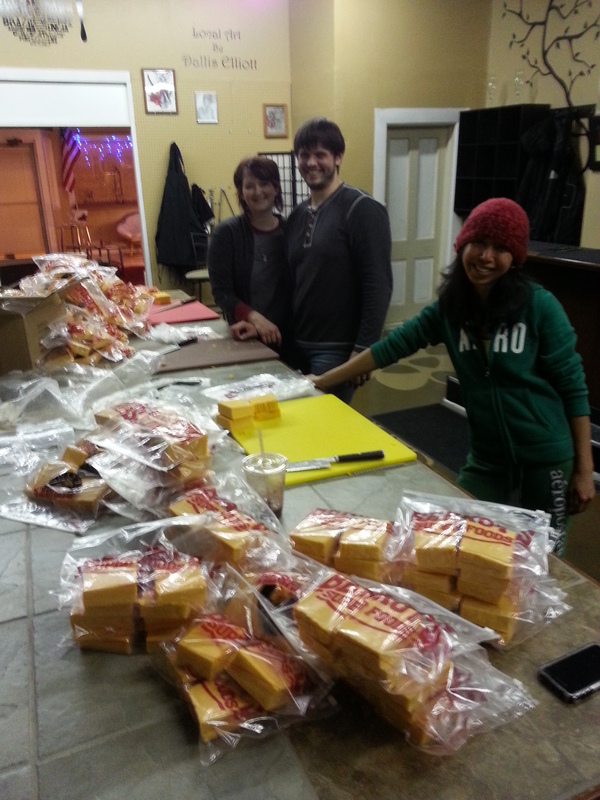 North State Food Bank distributed this cheese to twelve charities operating congregate meal programs (e.g. soup kitchens, shelters, senior meal programs, etc.). Over 10,000 meals containing this cheese were provided. Also, two food distribution programs served over 1200 households with a cheese supplement in emergency food boxes (the equivalent of about 3,000 meals). We are incredibly thankful for this donation and DPA’s support in the fight against hunger in our communities! January 16, 2014: 8,000 half-gallons of whole milk and 1% milk was donated to Union Missions Ministry of Charleston, West Virginia. This donation helped supply nutritional relief to 40,000 individuals in nine of the counties whose water supply was affected by the chemical spill. The milk was distributed through local food pantries and family emergency boxes. 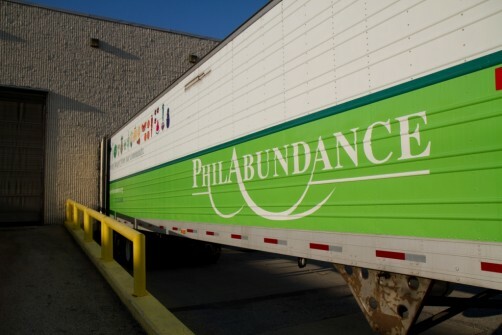 January 16, 2014: 2,005 half-gallons of whole and 1% milk was donated to Blessings of Hope in Ephrata, PA.
January 30, 2014: 1,500 half-gallons of 2% milk was donated to Central Pennsylvania Food Bank in Harrisburg, PA and 620 half-gallons of 2% milk was donated to Blessings of Hope in Ephrata, PA.
February 12, 2014: 866 gallons of milk was donated to Blessings of Hope in Ephrata, PA.
February 13, 2014: 1492 half-gallons of 2% milk was donated to Blessings of Hope in Ephrata, PA.
March 6, 2014: 928 half-gallons of 2% milk was donated to Central Pennsylvania Food Bank in Harrisburg, PA.
On 2/26/16, White Horse Tornado Relief received 124 gallons of milk and 116 gallons of chocolate milk. WI Summer Reading Program received 95 lbs. of cheese, 64 gallons of milk, 6 lbs. butter, and other dairy products.